Frankie Sparks can’t wait to enter the town-wide sled design contest. With the help of a team, she must design and build a sled using only cardboard and duct tape. And there are PRIZES! Even though Frankie might know a lot about building a sled, it turns out she still has a lot to learn about building a team. 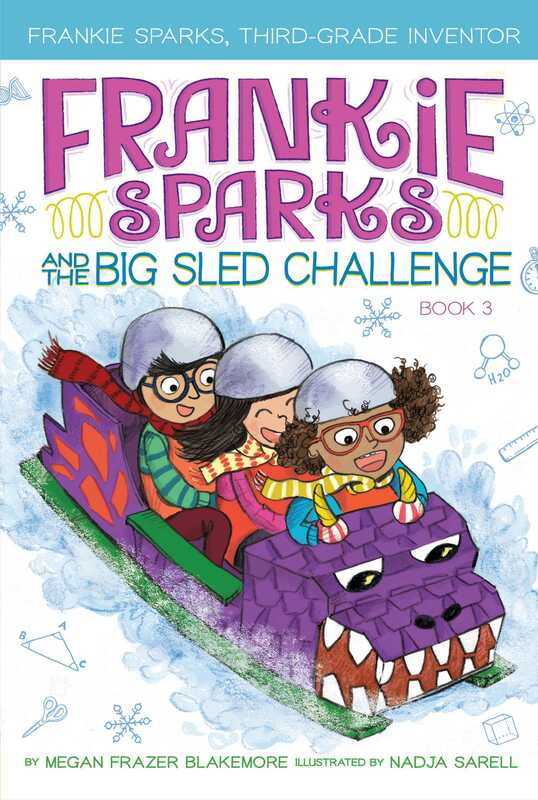 With lots of twists, turns, and big bumps along the way, can Frankie and her fellow super-sled designers create a dream machine—and a dream team? Nadja Sarell is an illustrator living in Helsinki, Finland. She graduated with MA in dance from Theatre Academy Helsinki and graduated from North Wales School of Art and Design with BA in illustration for children’s publishing in 2004. Since then she has worked as a freelance illustrator in Finland and abroad. She loves to teach art, illustration, and dance for both children and adults.